Information Index: Trachea Transplants and Paolo Macchiarini, M.D. Harvard Bioscience, Inc. and Harvard Apparatus Regenerative Technology, Inc.
Everything is very, very bad with me. I have spent over six months in the hospital in Krasnodar. I have undergone over 30 surgeries under general anesthesia. Three weeks after the first operation was opened a purulent fistula my neck, and my neck rot since. I weigh 47 kg. I can barely walk. I have trouble breathing, and now I have no voice. And it smells so strongly of me that people backs away. The other patient stink same. Artificial trachea is just crap. Possibilities of bioengineered tracheal transplantation for patients with diseases of upper airways were discussed during this online conference. 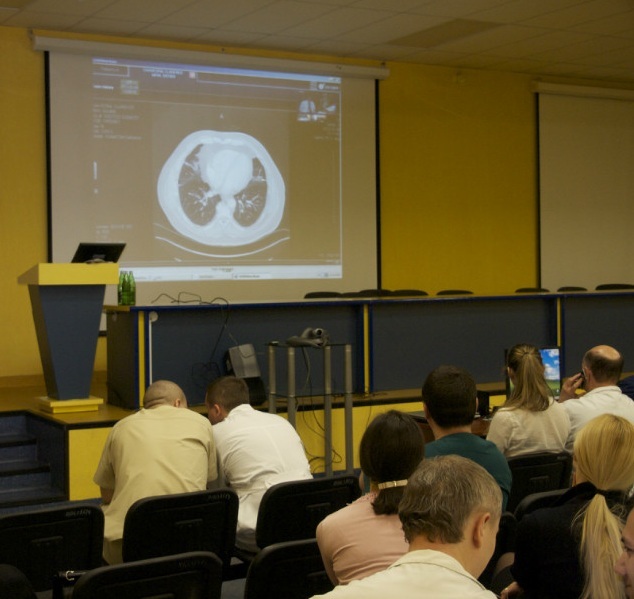 … Specialists from National Research Centre of Surgery named after B.V. Petrovsky, Russian Academy of Medical Sciences, Moscow, presented case of the patient who had cadaveric tracheal transplant. Due to an adverse effect of Intra-operative Radiotherapy (IORT) in a single patient this will not be continued clinically until it has been fully evaluated in pre-clinical models. A murine model has been established for this purpose. Update 2016-05-20: the Mega Grant website has been moved to http://regmedgrant.ksma.ru/index.php?id=4&lang=eng after the regmedgrant.com domain registration expired. The third patient is a 22 year old woman from Turkey. At a sweat surgery in July 2011 in Turkey damaged her windpipe. They tried unsuccessfully to repair the damage by sewing, resistant, and put a flap of chest muscle. After being assessed for a synthetic trachea transplantation in March 2012, she checked in at the Karolinska University Hospital July 23, 2012. Her condition was assessed as being stable, but she suffered from recurrent cough. She was not assessed at any journaled multidisciplinary conference. It should be noted that two Turkish professors in Thoracic Surgery has certified that they participated in a multidisciplinary meeting before operations . We do not have been able to identify the exact circumstances of this meeting. In the second episode of Dokument inifrån , it was mentioned that Karolinska in Stockholm had helped with the final selection [of patients to receive surgery in Russia] . This is information that the documentary makers obtained from the Russian project's website. 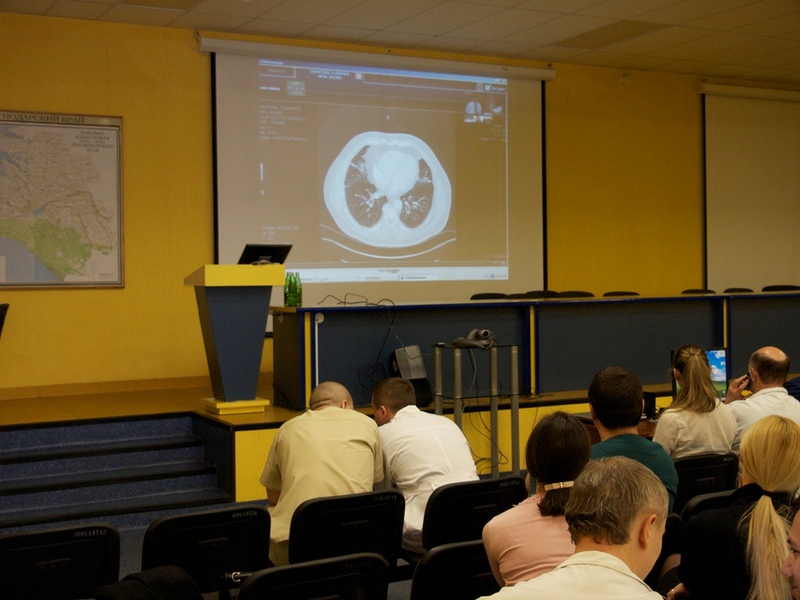 There are memoranda from an international video conference that took place in February 2012, attended by a number of employees of KI and Karolinska University Hospital. The Swedish participants have a completely different view. According to them, the purpose was to try to see if it was possible to meet over continents with the aid of video technology (in this case Russia, Sweden, Italy and the USA). At this video conference, experiences from previous and current patient cases were shared, which is also the view that emerges when going through the memoranda from the meeting. The claim that patients would have been selected for transplantation in Russia in this context is something that the Swedish participants do not confirm. This was also the only video conference arranged as it was established that the current technology did not enable the displaying of x-ray images, for example. It has been reported in the Swedish and international media that an employee of Karolinska Institutet is suspected of criminal conduct in Italy. The KI management is monitoring developments in the case - which mainly concerns matters of healthcare administration - but is taking no further action for the time being. At present we have no reason at all to doubt our colleague or the research he does here, says university director Bengt Norrving. We're in regular touch with him and are keeping a watchful eye on how the legal case against him in Italy unfolds. Note: Harvard Apparatus Regenerative Technology, Inc. (HART) was a subsidiary of Harvard Bioscience, Inc. until November 2013 when it was spun off as an independent public company. Harvard Bioscience CEO David Green resigned to become the CEO of HART. According to SEC filings HART's Initial Public Offering was originally set for December 2012 but was withdrawn and re-filed, becoming effective in November 2013. On 2016-03-31 HART changed its name to Biostage, Inc. The scaffolds are scheduled to be used in several other trachea transplants this year. The company's technology has not been approved by the U.S. Food and Drug Administration, but is able to be used in humans because of a humanitarian device exemption, Johnson said.